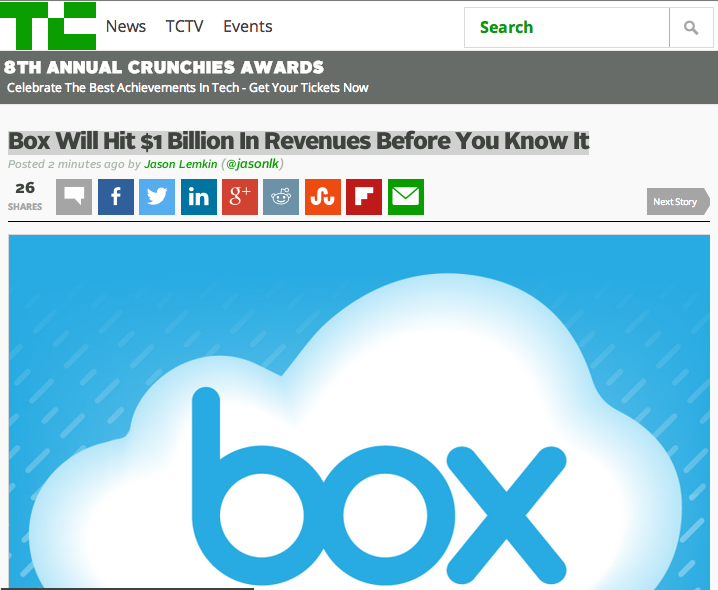 TechCrunch recently published a short post we did explaining why now, Box will clearly get to $1,000,000,000 in ARR, once it IPOs. There’s so much controversy around the space, and Box. But for us SaaStr’s, its just an example of how recurring revenue models work at scale. No matter what the product does, really. The post at TechCrunch here and below. There’s probably no enterprise software company more people opine on than Box. In particular, the business model of Box. They’re spending so much, Alex says. I like Google Drive better,Ron says. File sharing is a commodity, Jon says.